We are still here! Sorry for the absence this week! 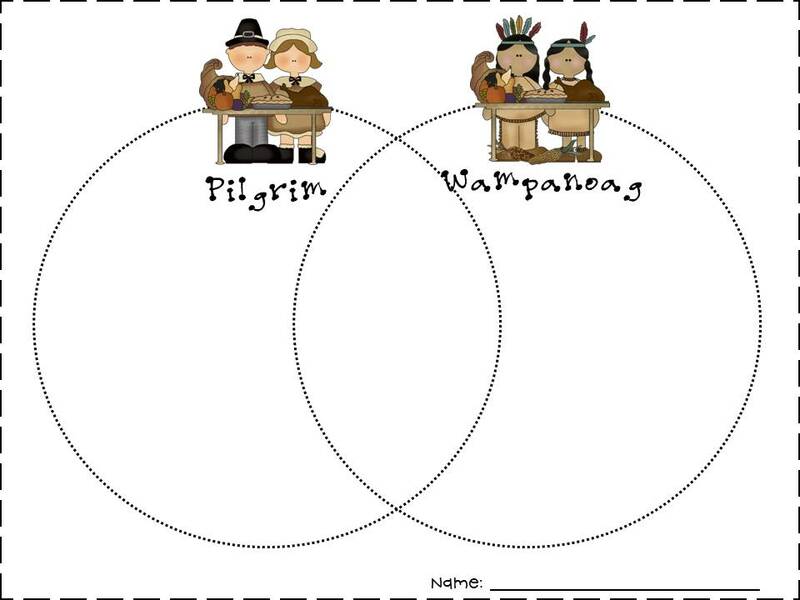 If you have not checked out Scholastic's First Thanksgiving page, you must! There are some great webcasts and activities for teachers and students. Last week, we watched tours of the Pilgrim Village and the Wompanoag Homesite. 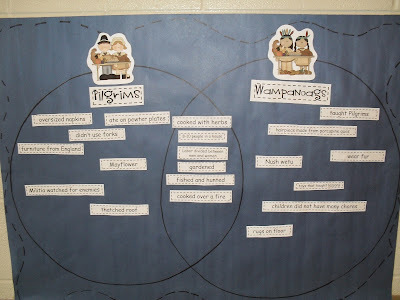 We then compared and contrasted the two with this Venn Diagram. 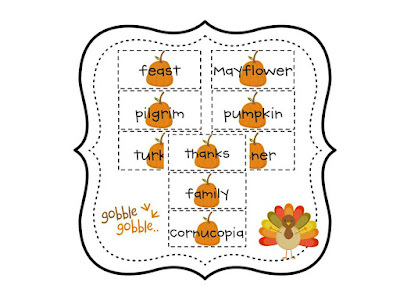 I also made these Thanksgiving words for some activities we are doing this week. Click the pic below to download those if you think you can use them. 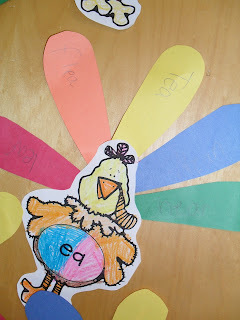 We learned all about long e spelled e, ee, ea, and y last week. We made these little turkeys inspired by Cara. 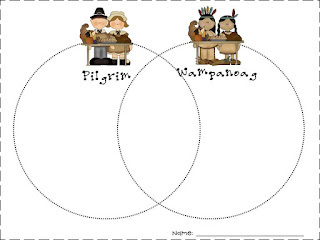 I am working on a unit for long e word work, and I am hoping to open a TPT store very soon. The unit is finished for the most part. I just need to tweak a few things. I hope y'all have a wonderful week and a Happy Thanksgiving!